The Witness combines the likes of walking simulators with the most classic puzzle games of them, Myst. 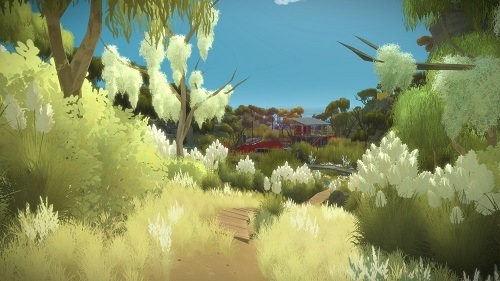 The game involves players exploring a large open world setting (island) as they solve various puzzles scattered around the island, while learning more from the visual and audio pieces of information. 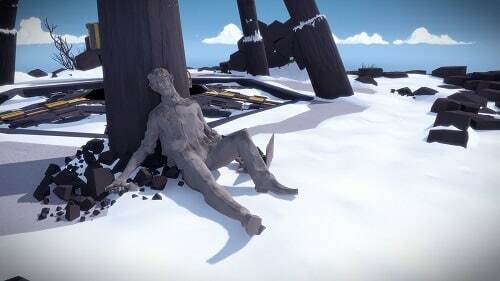 The Witness is light on backstory with players waking up alone on a strange island, opting for the typical amnesia setup you’ll find yourself not remembering anything about who you are and how you landed on such an isolated island. To regain your memory and return to the place you call home you’ll adventure from one side of the island to the other as you solve over 500 in game puzzles. Split into just over 10 sections the walk between puzzles and clues is a breathtaking experience with man made structures and natural formations to discover. Your objective in each section is to find a gold box and activate it after a sequence of puzzles from which a beam of light will release towards the mountain top, your final goal. All the puzzles within The Witness are based around the same mechanics that requires a path to be traced through a maze route to an ending point without crossing over your path. While on the surface this mechanic doesn’t suggest over 500 puzzles the game varies this formula in different ways to change the puzzle objective. The Witness is an enjoyable exploration experience that makes great use of the above mentioned puzzle mechanic, turning a simple idea into an addicting and varied mechanic. With the breathtaking environments and intriguing audio sound bites it’s an island masterpiece. Impressive man made and natural structures to uncover. Learn the simple puzzle mechanic and apply it in various ways. Complete over 500 puzzles or stick to the story required ones. Visual and audio clues help you uncover your story.